Today is officially the tenth day anniversary of me being in LA and since I have some free time on my hands (as in I’ve ordered something from Starbucks and I’m using their internet for the rest of the day), I decided to compile a list of helpful things to do in LA if you write when you’re not writing. If the old adage”You’re writing even when you’re not writing” is true, then these are the things I believe will make it even MORE true. Take the bus and chat with the person next to you. Most LA-ers have the privilege of discussing how much traffic blows because they have a car. That’s fine and dandy for those Rockerfellers, but it can be a little anxiety-inducing for those on public transportation. We may never be fortunate enough to experience needing to pee while trapped on the 405. Luckily for us, the bus system is almost always late! The one time I stayed out in Hollywood past 10 PM kept me waiting for the bus for nearly two hours, which might sound horrible at first thought (and the next thought… and the next thought…) but there was another guy waiting at the bus stop. At first we did the polite nods as you do in LA when you make eye contact and minded our own business, but when thirty minutes rolled by, we were no longer strangers. We were two folks who were both stranded and really really tired. We kept talking and exchanged numbers, and that my friend, made the journey almost worth it. See movies all the time. Unemployed life is hard and the rejections you face can be demoralizing, but that’s okay, because you’re in a town literally built on the craft you want to build. The cinema culture here is vast and eclectic, and even though Hollywood might be more well known for the commercial features made here, there’s a great selection of independent, classic, experimental, what have you. The Arc Light is expensive, but great if you want to attend 21+ film screenings or if you want to go to Q&A’s for new films. For cheaper shows, check out the Leo S. Bing for four dollar matinees of classics or the Billy Wilder Theatre at the Hammer Museum for screenings from the extensive UCLA Film and Television Archive. The best experience I’ve had here was at the New Beverly Cinema, a theater that Quentin Tarrantino bought out when it was about to go out of business. The reason why is because it shows a double feature EVERY NIGHT of well-paired classics for only eight dollars. Yeah. Not only did I see James Dean movies for the first time on the big screen, I was surrounded by other filmmakers and film lovers who were eager to make conversation. It’s a great and fun way to learn about movies. Also, take notes on everything you see. What you liked, what you didn’t. Even if you unwillingly watched your roommate’s Pretty Little Liars marathon, write it down. Make your time count. For a comprehensive list of Los Angeles theaters, check out LAist’s list here. Whether you take a car or have to walk for miles with the sun in your eyes, get a feel of the landscape. LA is a desert with canyons that’s right next to the beach. It’s a unique blend and you’ll want to experience it all. If your boyfriend just dumped you, hop into the Pacific Ocean and let the crippling cold take your mind off of it. If your girlfriend sabotaged your interview so she could get the job, go for a hike at Topanga and oversee your problems down in the city from high above. If you can’t give yourself another perspective, follow the earth to find it. 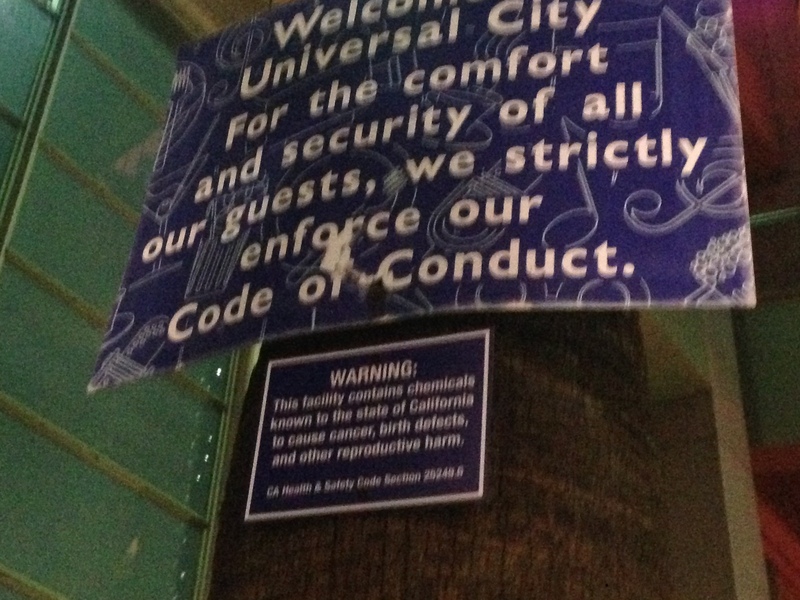 But whatever you do, don’t go to Universal Citywalk. DO NOT ENTER. THE JOHNNY ROCKETS INSIDE IS NOT WORTH CANCER. But most importantly, center your day around why you came here! Jobs are either internships, low-paying, things you can’t get yet, or extremely stressful portions of your day. If you don’t wish to have the jobs you’re looking to have or keep to be the focal part of your day, then don’t! Write when you can, read up on what you want to learn, eat that great Mexican you keep hearing about, shoot the bull with your peeps. Careers are a big reason why people come out here, and if that’s your goal, all the power to you, but it’s important to keep in mind that there’s more to living than being in an industry.